Port Royal Group ...because experience always matters. With 30 some years in the marine industry, I've worked variously as a yacht designer, boat builder, marine business manager, yacht surveyor, consultant, yachting writer and editor, and industry educator. I am trained and experienced in interest based negotiating. In a previous life, I taught logic and philosophy at university. Skip has more than 40 years professional experience in the recreational marine industry as a business owner/operations manager and marine business consultant. Most recently, Skip served as Director of Operations for Hodgdon Yachts, a builder of large infused composite yachts and military patrol craft. Moroni has over 20 years background in project management, including in-depth experience in the marine and aeronautical industries. He is a member of the Project Management Institute (PMI), and holds their Project Management Professional (PMP) certification. Len is a Certified Master Marine Surveyor and Marine Engineer, with more than 40 years experience. He has successfully performed more than 8,000 marine surveys, including condition/valuation, pre-purchase and damage surveys, as well as marine accident and fraud investigations. The GIGO (garbage-in-garbage-out) principle applies just as much in yacht building and refit as it does in information technology and other business sectors. Frequently, narrow-minded, wrong-headed, and brazenly self-impressed thinking masquerades as expert opinion. When you're looking for information and advice, ask pointedly from whence it comes. Keep in mind that experience always matters, because it is only from long experience that lessons are gained which enable the avoidance of the pitfalls that derail projects. Theory and talent are vital, but experience always matters. The Port Royal Group is headed up by Phil Friedman, who has more than 30 years hands-on professional experience in the recreational marine industry. 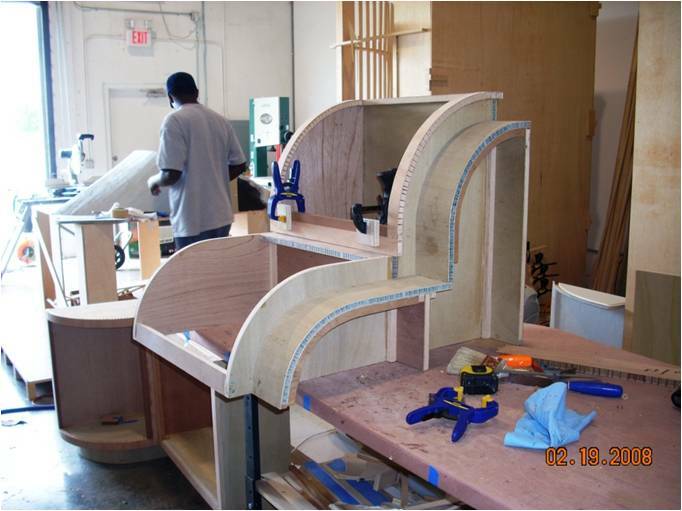 Phil’s most recent consulting work includes the start-up planning and construction management for a new line of 65-foot high performance catamaran motor yachts that incorporates patented active air-lift technology, and the start-up planning and operations management of AeroLite Marine Interiors, a marine joinery firm that specializes in the pre-fabrication and installation of high-quality, ultra-light yacht cabinetry and furniture. As president and CEO of Palmer Johnson Yachts, Phil was responsible for executive management of a group of companies with annual gross revenues in excess of $100 million and nearly 600 employees across the country. 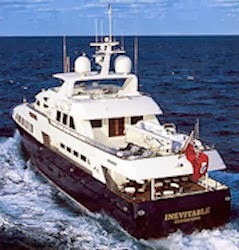 Under Phil’s direction, PJ developed and sold several hundred million dollars in new yacht construction and major refit work, and built and delivered a dozen luxury megayachts in the 30- to 60-meter range utilizing Critical Path Planning and Management techniques introduced by him to the company. With Port Royal Marine, Inc. from 1984 to 2000, Phil provided a broad range of marine-related technical, marketing, and business consulting services to a wide array of clients that included yacht owners, boatbuilders, marine manufacturers, and aerospace companies, as well as advertising and public relations firms. 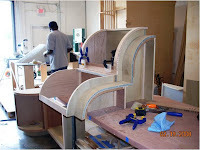 Prior to that, Phil was VP-Operations and CFO for a yacht dealership and chain of boatyards employing 150 craftsmen and trades people in the maintenance and refit of luxury yachts.Phil has also operated his own custom boatbuilding shops, and through the years maintained an active design, survey, and marine consulting practice. Numerous yachts have been built to his designs in various parts of the world. Several of these have made successful trans-oceanic passages. As Senior Editor for Power & Motoryacht magazine, Phil tested and evaluated hundreds of yachts worldwide. Phil has published more than 600 articles on yacht design, construction, repair, and maintenance; and he is the author of the electrics and electronics chapters of later editions of Chapman’s Piloting, Seamanship, & Small Boat Handling, considered by many to be the bible of recreational boating. His articles have also appeared in Professional Boatbuilder, Boatbuilding, Boating, Motorboating & Sailing, Yachting, Sail, Marlin, Boating World, Motorboat, Canadian Yachting, Pacific Yachting, Canadian Power Illustrated, Sailing Canada, Small Boat Journal, Motoryacht International, and other marine publications. Working on a more theoretical plane, Phil created the curriculum for, and directed the Marine Industry Management Program at Humber College of Applied Arts & Technology (Toronto), where he also taught boatbuilding and design. He was among the first people in the industry to apply computerized P.E.R.T. 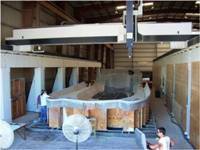 Analysis and Critical Path Management (CPM) to the construction of yachts. In 1981, he was awarded a grant by the Canadian National Research Council for his work in developing computerized specification programs for building small commercial fishing craft.